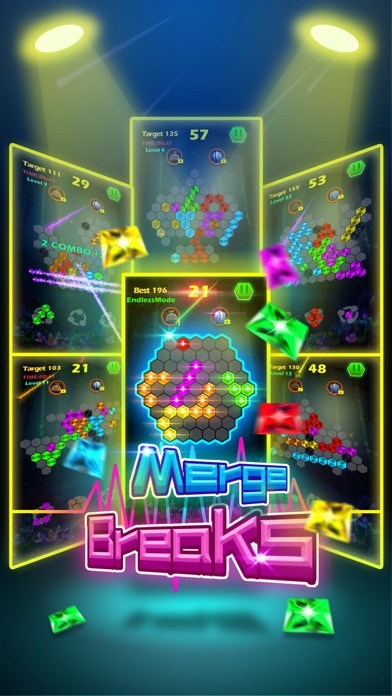 Merge Breaks is a simple puzzle game that will challenge you, while it will also train your brain. Put your puzzle skills to the test with this exciting title - we dare to say you will try and put it down. 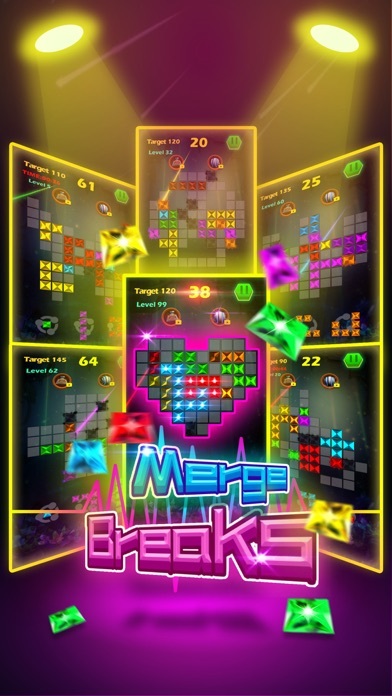 The bricks is merged, a blast to play, it will help you develop logic , geometry and train your mental capacity. 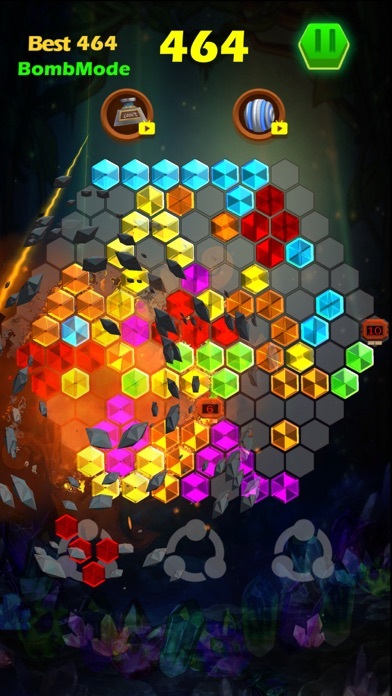 The concept is simple: on the board, combine puzzle blocks and clear the board by placing them strategically to create lines. 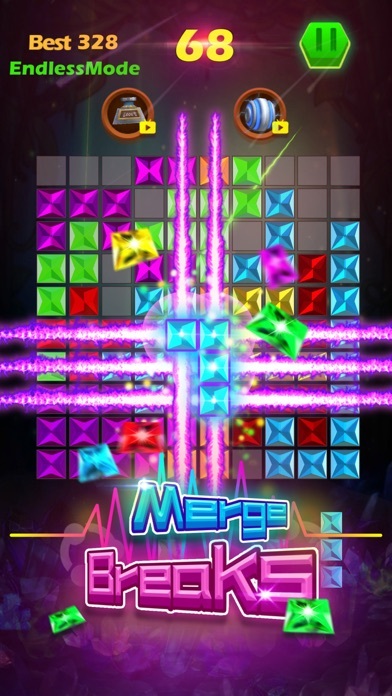 No limit to play, no color to match, and no matching three repetition, just fill the grid with shapes, clear the play area, see if you can beat your high score, and clear more levels. 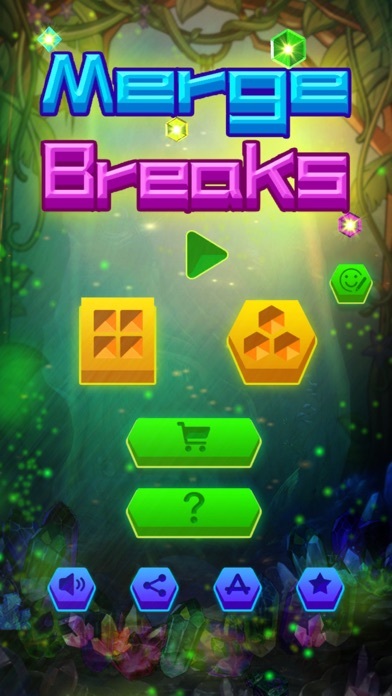 Features, ***Free to play; ***Props; ***3D bricks; ***You can challenge different chess board, break your high score, keep your gameplay endlessly exciting; ***Challenge more and more levels, challenge especial board shape, it will give you more enjoying; ***Share it; If you have any questions, please feedback to us, thank you for your support!! !